Honda is known for its quality and versatility. Over the last few years commentators and customers alike have differing opinions on the look of newer Honda cars. But one aspect which is not highlighted is a slow decline in quality. 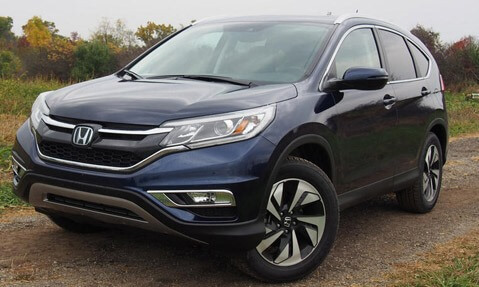 2015 Honda CRV is the latest Honda Vehicle to have been caught up in controversy. Perceived to be on par with Toyota in terms of quality, Honda has dropped to 7th brand in terms of overall quality in 2016. Surprisingly Kia is in 6th spot. (Lexus and Toyota occupy 1 and 2 spots). 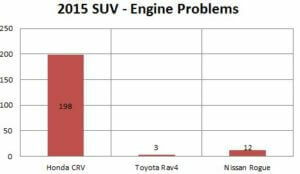 As per NHTSA database Honda CRV has reported 198 complaints related to Engine and Transmission issues. This is alarming if you consider the fact 2015 CRV has been out only for 2 years. Compare this with Toyota Rav4 which has similar sales in 2015, it has reported 3 problems in Engine and Transmission. While 2015 Nissan Rogue has 12 problems reported. Based on the data from NHTSA complaints most of these issues are related to excessive vibrations in engine and Transmission. These vibrations cause other failures.while Honda has acknowedged the issue, but hasnt provided a solution. Several complaintants have filed a lawsuit against Honda in California. Below is a video posted by Honda in response to the complaints. It is very uncommon for Higher quality models to exhibit so many complains in Engine and Transmission so early in its life, Typically these information is tracked over the life of vehicles and peaks after 80K miles. These problems appear to be affecting Honda’s hold on No 1 selling SUV. After being the top selling SUV for several years, Honda CRV is closer to losing its throne. For the first time Toyota Rav4 has become the No 1 Selling SUV replacing CRV in 2016. Unless Honda does something drastic, CRV might be relegated to third spot soon. Previous PostPrevious Apple Iphone vs Android Devices – How does the future hold for the Mobile Operating Systems? Next PostNext Google Pixel shows Google’s frustration and confusion with Android.